None of us are ‘perfect drivers’, we all make mistakes on the road! In fact, half of what we learn on our driving lessons as young drivers are quickly forgotten, and therefore little habits form as we get older in life. We’re only human after all! We’ve compiled a list of 6 popular driving habits and mistakes almost every driver will make. As a young driver, you can slowly start to think more about these and maybe save yourself a fine or even an accident on the road! It has to be the first. Mobile phones, and any form of in-car commination and even entertainment can be a huge distraction whilst driving. 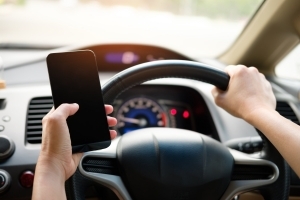 Check out our previous article here which will make you think twice about text-driving! Our tip: Use the ‘Do Not Disturb’ feature on your smartphone! Especially with the recent heatwave, it’s easy to climb into your vehicle with sandals or flip flops and hit the road. It can however be extremely dangerous to not have full control over your breaking if your footwear was to slip off whilst driving. There are no specific laws preventing you from driving in Flip Flops, however if you are caught driving dangerously whilst wearing them, you could be fined up to £5000. Not worth it! Our tip: Leave a pair of spare trainers or comfortable full footwear in your car at all times! We’ve all been there. You’re approaching the traffic lights and the thought of waiting just doesn’t sit well with you, so you speed through an Amber light. Whilst it may not seem that dangerous doing this, it can often be misjudged of how large the junction is you’re approaching. Many multi-light junctions require a significant distance of travel to turn onto the opposite carriageway. Even if you make the lights, you could cause a serious accident by another motorist setting off on another part of the junction. Our tip: You aren’t saving a lot of time! Be patient and wait it out. 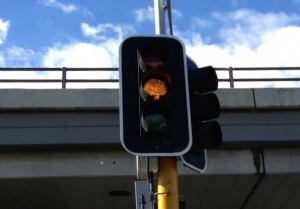 Approach Traffic Lights whilst being prepared to slow down immediately. Sometimes even the slightest of arm lifting is enough to put a driver off using their indicators. There are a huge amount of accidents in the UK caused from drivers breaking suddenly to make a sharp turn without signalling to the vehicle behind them. Not only that, many drivers to not fully ‘press down’ their indicators which can sometimes result in them not being visible long enough to other drivers. 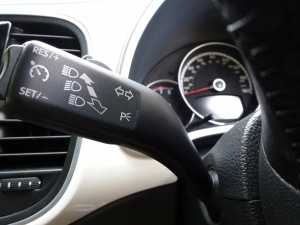 Our tip: Use your indicators properly by pressing them fully down. Also, consider installing a Dash Cam which can help your insurance claim if caught in an accident where another driver is at fault. To many drivers, being penalised for driving slowly is difficult to understand. Surely you’re safer driving slower? This is a common misconception especially on fast carriageways and motorways. With large volumes of vehicles driving mostly at the speed limit and constantly switching lanes, you could be disrupting the flow of traffic movement. Not only that, but slow drivers only angers other drivers, and angry drivers are a perfect recipe for disaster! Our tip: Where possible, drive as closely to the speed limit as possible. If you don’t feel comfortable, slowly increase your speed every time you go out, or even consider driving at less busy periods of the day. Learner drivers are most guilty of this, however your instructor will most likely snap you out of the habit quite quickly. When approaching a junction or roundabout, it is common for drivers to needlessly keep their foot fully or partially on the clutch for a long distance. This results in the clutch being unable to fully engage with the flywheel and therefore causes wear and damage on the disc. Often drivers are completely unaware they’re doing this, and the problem can be solely down to your driving posture and seat position. Clutch riding and coasting can cause serious damage to your vehicle, and there’s nothing worse than spending money on car repairs! Our tip: Take some time to re-adjust your seat to something that is both comfortable, and allows you to initiate the clutch without putting too much pressure on it.